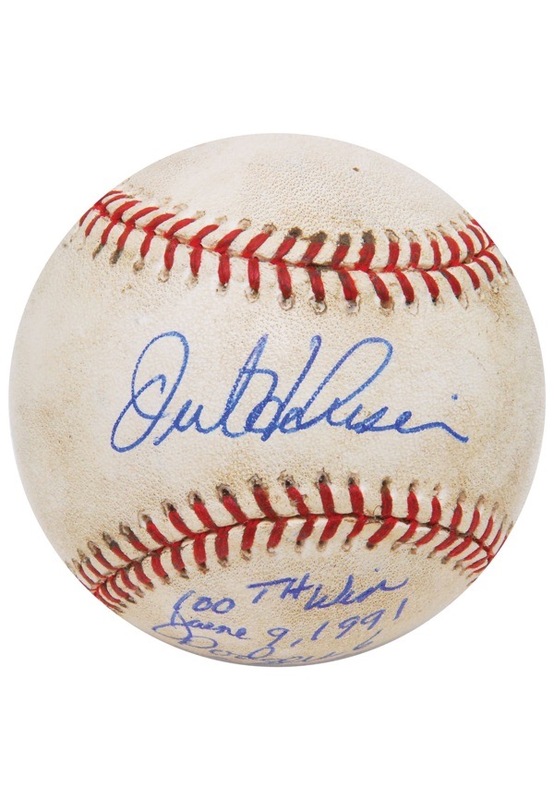 On June 9, 1991, Los Angeles Dodgers pitcher Orel Hershiser captured his 100th career victory after defeating the Chicago Cubs 6-3. 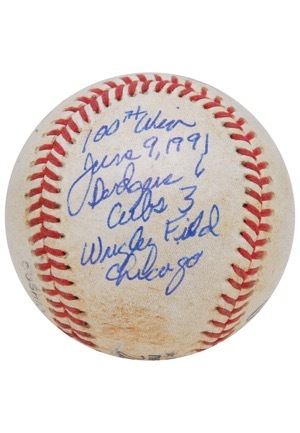 Hershiser threw 7 innings, allowing 2 runs while striking out 6. 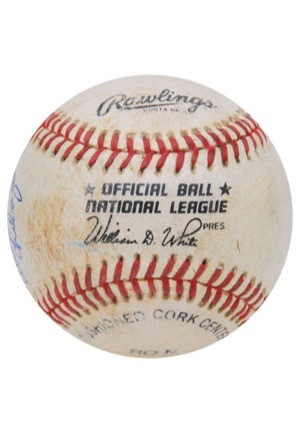 Two “Rawlings” manufactured ONL White baseballs. 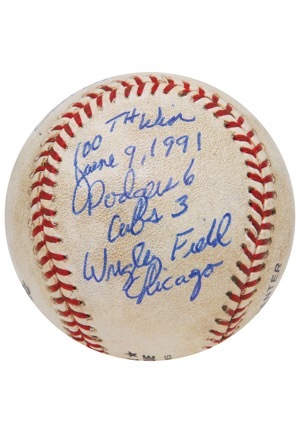 The south panel of each ball reads “100TH Win - June 9, 1991 - Dodgers 6 - Cubs 3 - Wrigley Field - Chicago” in blue ink penned in Hershiser’s hand. 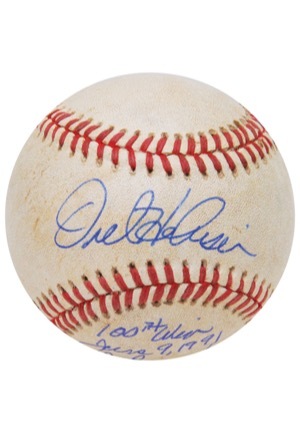 Orel has signed the sweet spot on each ball, also in blue ballpoint pen, in our opinion the signatures rate a near perfect 10 overall. 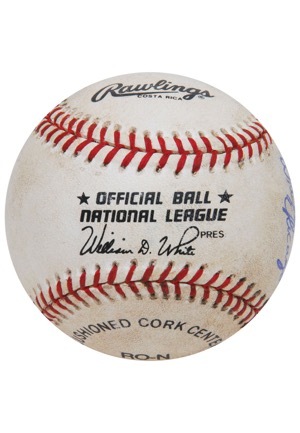 Both balls show excellent signs of game-use. 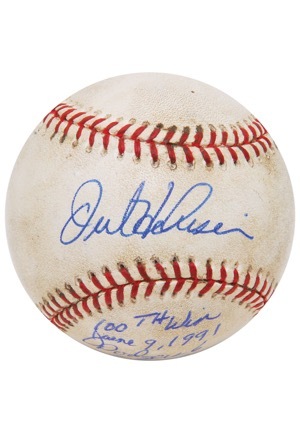 Accompanied by a LOA from JSA and two additional LOAs from Orel Hershiser.